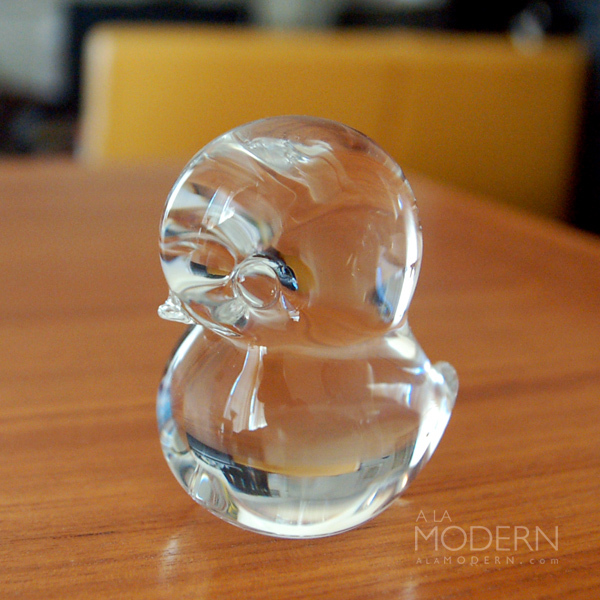 Wonderful little handmade glass duck attributed to FM Konstglass (also known as Marcolin) from Ronneby, Sweden. 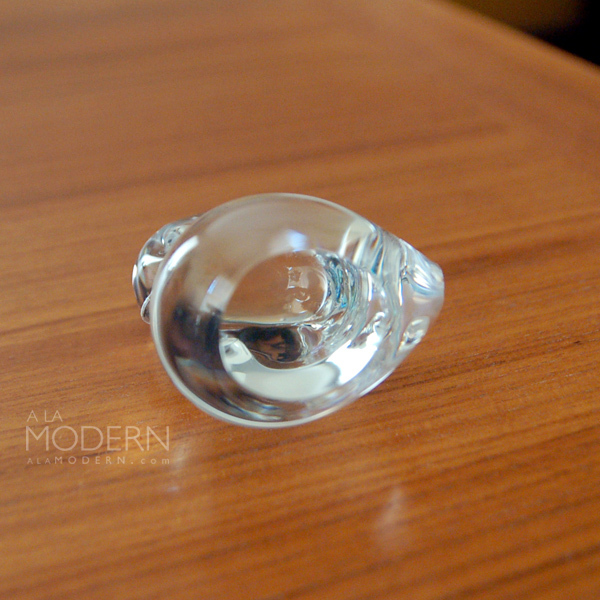 This crystal clear little guy has an oversized head, but he's just so cute all the same. 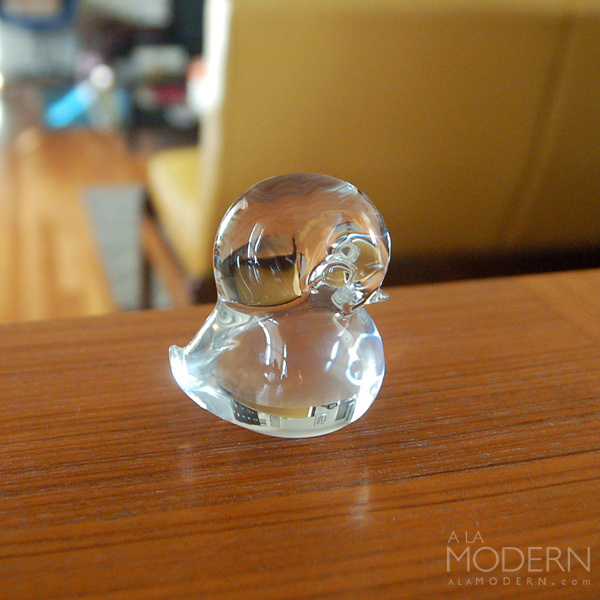 We've seen these in a few different glass colors - unsure what the time frame on these ducks are, but believed to be vintage. Excellent condition with hardly any wear at all, no chips or cracks. Unmarked on bottom - these usually came with a foil sticker with the company name. Measures about 3" tall, 2.5" long and 2" wide.